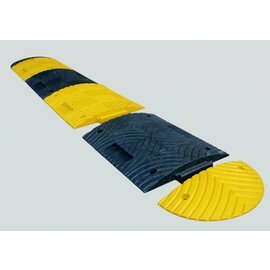 Home / Portable speed bump "Easyroll"
Moveable temporary speed bump in bright yellow with reflective strips for optimal visibility. 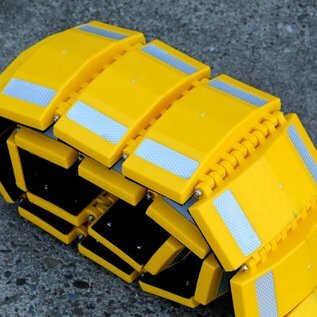 The quick and easy way to slow down traffic. 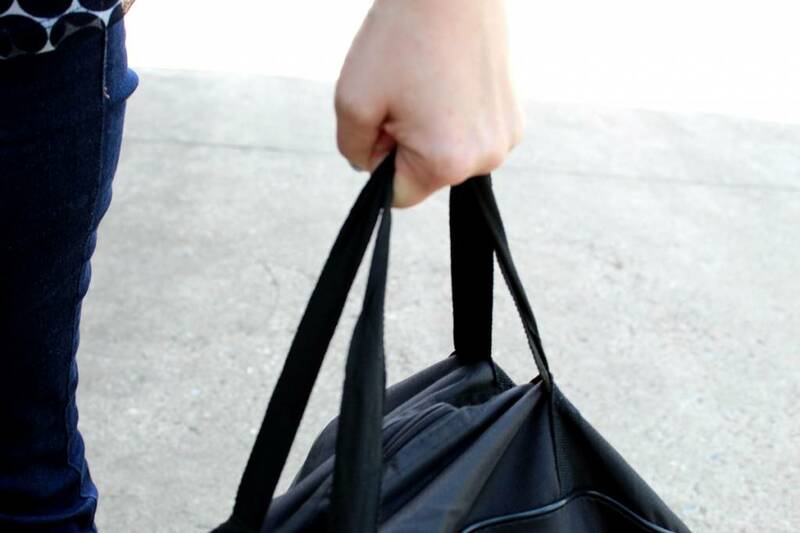 Unroll and ready, anywhere, anytime. 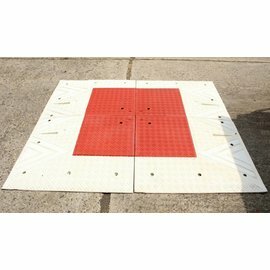 This portable speed bump can be quickly deployed to temporarily slow down traffic to about 25 km / h. It is therefore very suitable for use during traffic controls, accidents or as extra security at events. 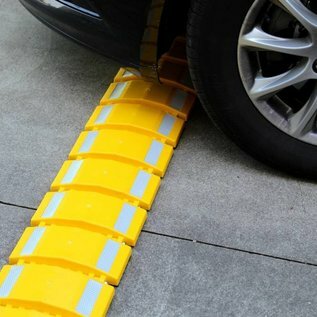 The portable speed bump is meant for temporary use and then only on private sites or on car parks. 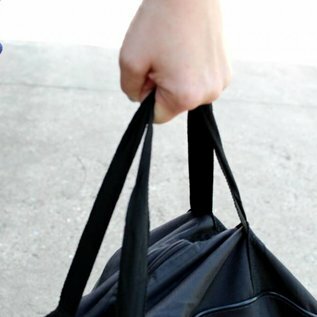 It’s use on public roads is restricted to the police. 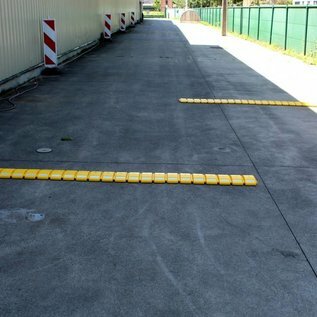 The bright yellow color and the reflectors along the entire length on both sides makes the portable speed bump clearly visible day and night. 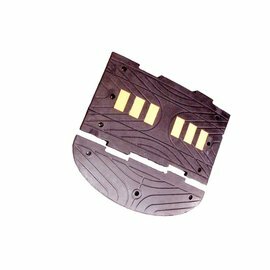 It withstands all weather conditions perfectly and is resistant to ambient temperatures between -40 ° and + 60 °. 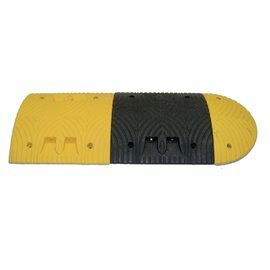 The rubber pads with anti-slip profile on the bottom increase its stability. 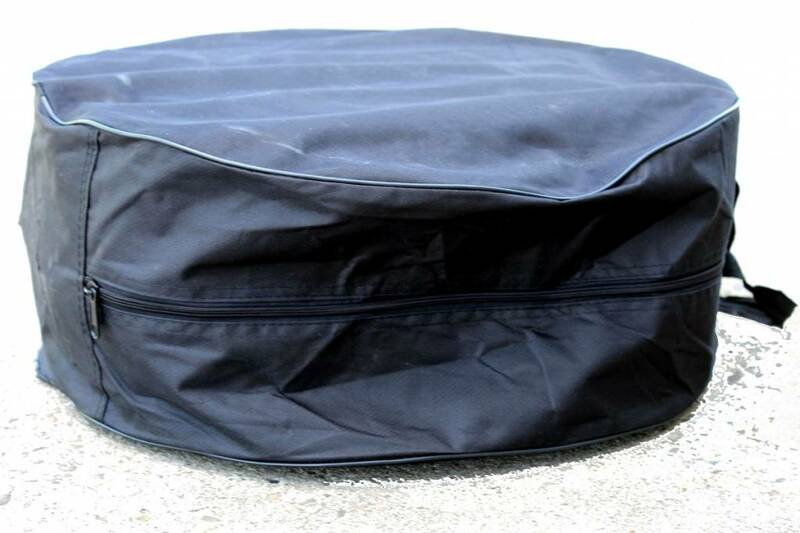 The portable speed bump is delivered in a matching nylon black bag for easy storage. 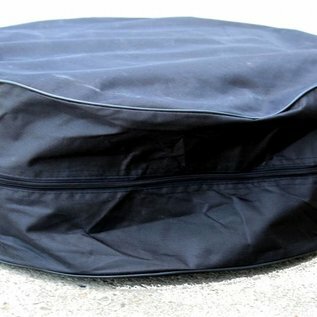 Rolled in the transport bag he has a diameter of +/- 55 cm. 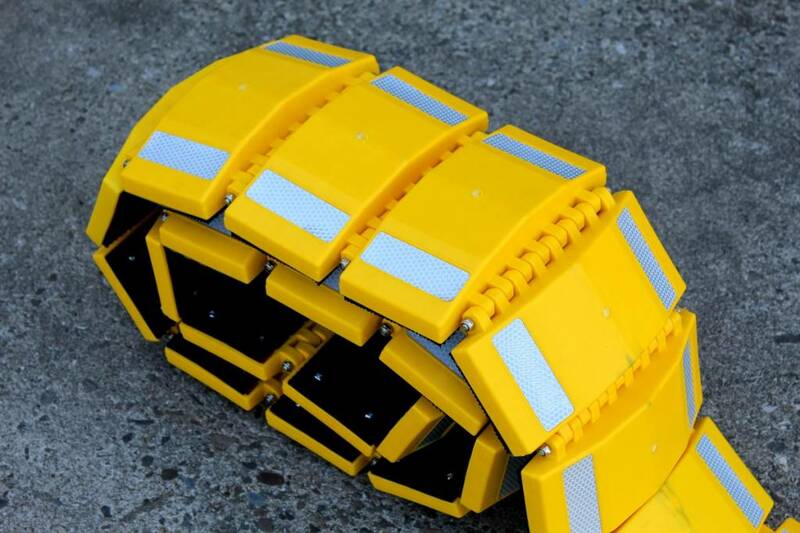 Thanks to its light weight and the handle, the portable speed bump can easily be placed or removed by one person. 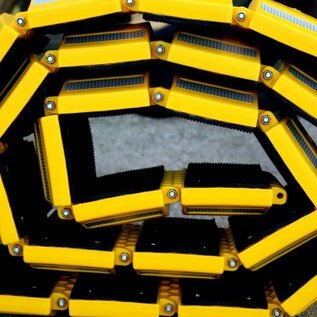 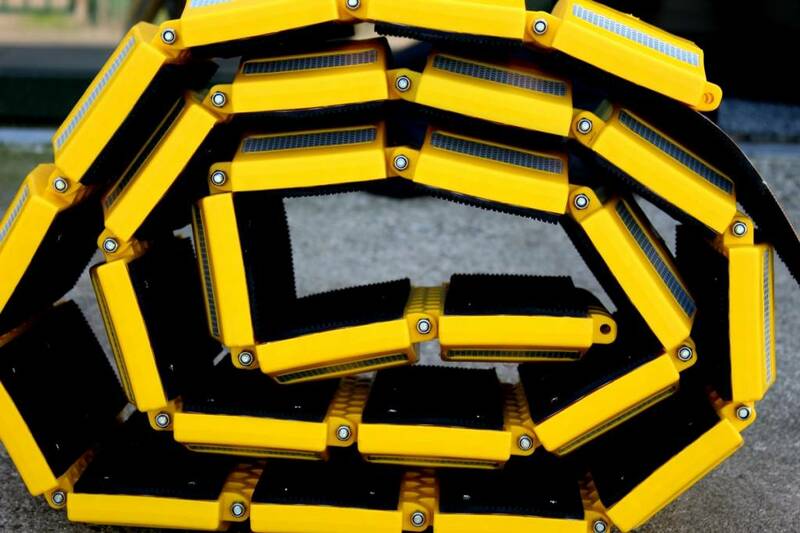 The flexible hinges ensure that the portable speed bump remains flat on irregular surfaces, so that movement and loss of efficiency is avoided as much as possible. 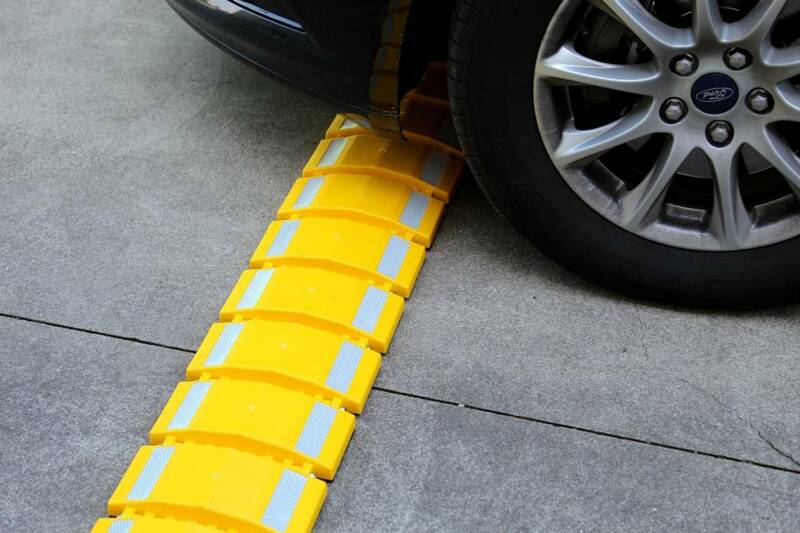 The speed bump is capable of temporarily slowing down normal traffic, but is not suited for long-term use in intensive or abnormally heavy traffic. 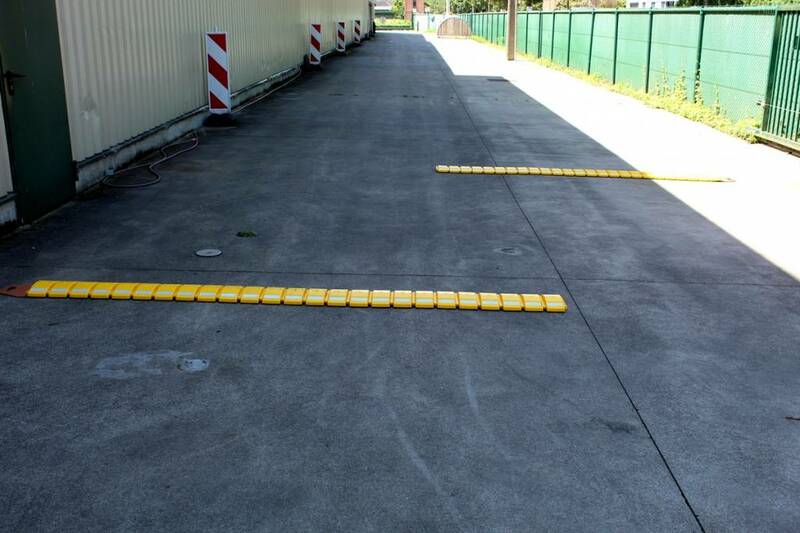 The portable speed bump is a quick and easy solution to provide a visual and physical signal that efficiently reduces traffic speed when needed.